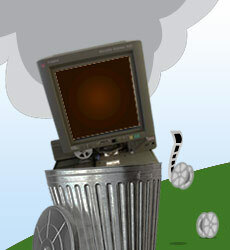 Microfiche readers become a thing of the past...it's time to let go. It's been the case since the origins of the microfiche that you need to seek out a microfiche reader to view it on. It makes sense, after all, you used to need a camera to put the film inside. But, like the regular film camera, it has been surpassed by digital. So, why should you still be looking around for a cumbersome machine just so you can view some microfiche on it? Incidentally the cost of a microfiche scanner can be between £2000 and £10000+ which is by no means a small fee, especially if you have under 100 of the films to view. Think about it...is it worth the cost of thousands of pounds for a microfiche reader? 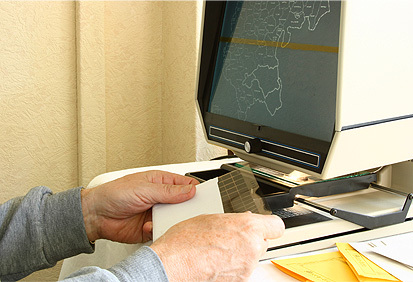 The cost of scanning and converting microfiche to a digital format using our microfiche scanning services will usually cost significantly less than the cost of a microfiche reader. Because we can complete the scanning and conversion very quickly, we can charge a lot less than you might expect, depending on the condition of the microfiche. Additionally, if you submit a large amount of microfiche, the cost will be lower because you're submitting them in bulk. Give us a call today or fill out the below form to get a free estimate. Another problem with the microfiche viewer is that it doesn't offer the ability to do contemporary tasks such as editing the original document, emailing or sharing. When you have your microfiche converted, they come to you as a fully usable PDF digital file which can be manipulated and exchanged as much as you want. As you're reading this, I don't know how far you've got on your quest for a microfiche reader but you should know that they are pretty big. In fact, even the most modern of designs can be absolute beasts which take up a lot of room in an office. Converted microfiche are as big as a general high quality PDF is and the only room its taking is an extremely small piece of your hard drive or CD. If you're planning on using a microfiche reader in the office, you will find that only one person can use it at a time. If you find that more than one person needs to use the viewer at once, then someone is going to be left to wait which could waste valuable time. With microfiche conversion as many people as you like can have digitised microfiche files open at once as long as they are stored on a network which all people in your office can access. You can also take the microfiche images wherever you go on a laptop, CD or memory stick. The fact is that microfiche were originally made to save space and make the files easier to access but, like the typewriter, their time has passed. Now digital media has taken its place, it makes sense that the files should also be converted that way rather than needlessly buying an obsolete microfiche reader. If you want to know more about our microfiche conversion services, or would like to make an order, please give us a call. So, drop the Microfiche Reader and let us digitise your microfiche!